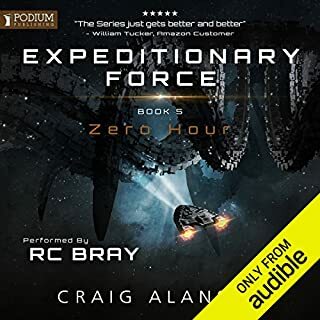 RC Bray deserves to be in the Audible Narrator Hall of Fame if he isn't already. He took an already great and engaging story and brought it to life. 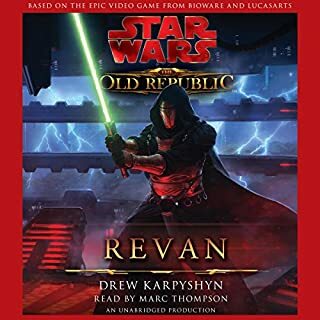 I chose to listen to this because RC Bray was the narrator. I'm glad I did because not only was RC Bray great, the story was too. 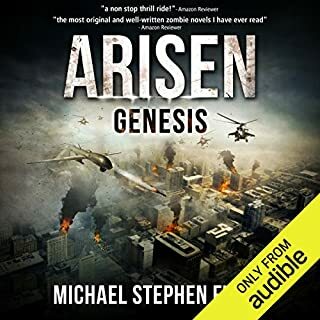 I'll be listening to all of the Arisen books now. 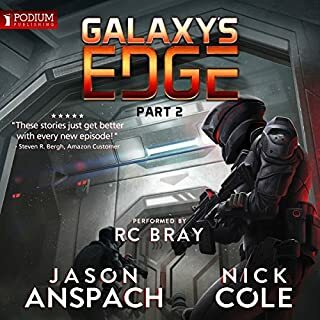 RC Bray is the reason I began listening to Galaxy's Edge. I'd listened to the Expeditionary Force books and Bray was so good that I've chosen other books based on his having performed them. And luckily for me, Galaxy's Edge is a winner. 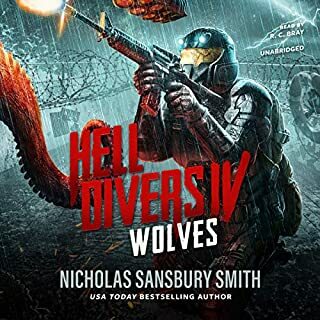 Fun story, great characters, what's not to love. RC Bray may be the single best narrator/book reader I've ever heard. 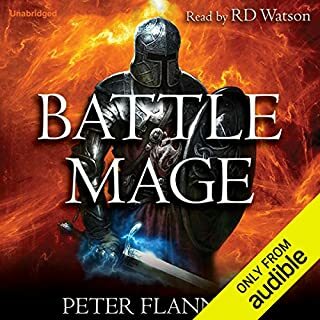 I started listening to this series because he was the reader and have been hooked since. Can't wait for #4! I love this series. The fact that I need to wait who knows how long for the next book makes me feel like in spending time with a bunch of ignorant monkeys. Joe and Skippy make a great team and are hilariously voiced by RC Bray. Top notch stuff. This book transported me to a world of magic and dragons. Le Coeur Noir lives! This is my second time experiencing The Wheel of Time (first time I read them, second time I listened to them) and it was just as fantastic as the first. 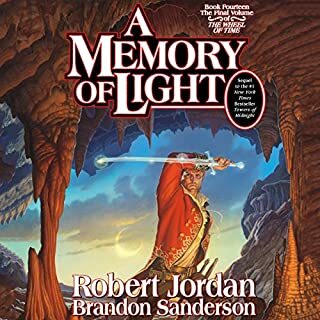 Robert Jordan crafted a world I love and Brandon Sanderson closed it out with a beautiful ending. The story in Red Harvest was, honestly, kind of dumb. To sum it up in a few words... Force-sensitive, talking flowers and zombies. You read that right, zombies. The only thing that was really Star Wars about this was the fact that they used some of the same terms. This story would have fit just as well in a contemporary setting. There was nothing special about it. 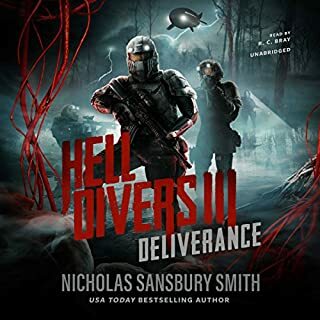 As for the narration... John Glover has a very good voice but some of his enunciation choices and awkward pauses made me feel like I was listening to something narrated by William Shatner or Christopher Walken. I love them, but not to listen to a book. 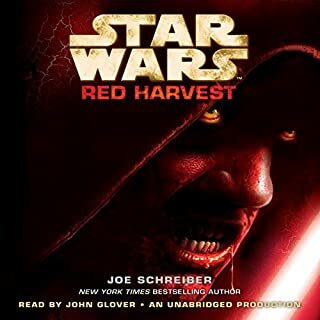 Overall, Red Harvest was a week entry in the Star Wars extended universe, in my opinion. Overall, the reader did a fantastic job! However, there were some pronunciation issues I had. For example, the way he says Twi'lek. He pronounces it twih-lek not twee-lek. Just a tiny thing, insignificant really, but it made me sad. When you hear him say it, you'll cringe.